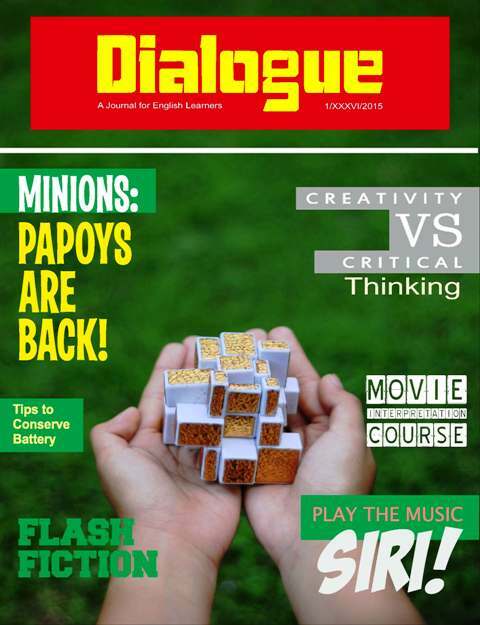 Dialogue, a journal for English learners, previously known as an English magazine for everybody to enjoy, is published by the English Language Education Study Programme of Sanata Dharma University Yogyakarta. Its very first edition dates back to 1972. Training and Education, Sanata Dharma University, Yogyakarta. The journal welcomes articles on language and language teaching (of the English language). Dialogue, a Journal for English Learners, is published by the English Language Education Study Programme of Sanata Dharma University, Yogyakarta, Indonesia.